Baker v. Carr, 369 U.S. 186 (1962), was a landmark United States Supreme Court case that decided that redistricting (attempts to change the way voting districts are delineated) issues present justiciable questions, thus enabling federal courts to intervene and to decide redistricting cases. The defendants unsuccessfully argued that redistricting of legislative districts is a "political question", and hence not a question that may be resolved by federal courts. Charles W. Baker et al. v. Joe. C. Carr et al. The redistricting of state legislative districts is not a political question, and thus is justiciable by the federal courts. Whittaker took no part in the consideration or decision of the case. Plaintiff Charles Baker was a Republican who lived in Shelby County, Tennessee, and had served as the mayor of Millington, Tennessee, near Memphis. The Tennessee State Constitution required that legislative districts for the Tennessee General Assembly be redrawn every ten years according to the federal census to provide for districts of substantially equal population (as was to be done for congressional districts). Baker's complaint was that Tennessee had not redistricted since 1901, in response to the 1900 census. By the time of Baker's lawsuit, the population had shifted such that his district in Shelby County had about ten times as many residents as some of the rural districts. The votes of rural citizens were overrepresented compared to those of urban citizens. Baker's argument was that this discrepancy was causing him to fail to receive the "equal protection of the laws" required by the Fourteenth Amendment. Defendant Joe Carr was sued in his position as Secretary of State for Tennessee. Carr was not the person who set the district lines – the state legislature had done that – but was sued ex officio as the person who was ultimately responsible for the conduct of elections in the state and for the publication of district maps. The state of Tennessee argued that the composition of legislative districts was essentially a political question, not a judicial one, as had been held by Colegrove v. Green', a plurality opinion of the Court in which Justice Felix Frankfurter declared that "Courts ought not to enter this political thicket." Frankfurter believed that relief for legislative malapportionment had to be won through the political process. The decision of Baker v. Carr was one of the most wrenching in the Court's history. The case had to be put over for reargument because in conference no clear majority emerged for either side of the case. Associate Justice Charles Evans Whittaker was so torn over the case that he eventually had to recuse himself for health reasons. The arduous decisional process in Baker is often blamed for Whittaker's subsequent health problems, which forced him to retire from the Court in 1962. "Textually demonstrable constitutional commitment of the issue to a coordinate political department;" as an example of this, Brennan cited issues of foreign affairs and executive war powers, arguing that cases involving such matters would be "political questions"
"A lack of judicially discoverable and manageable standards for resolving it;"
"The impossibility of deciding without an initial policy determination of a kind clearly for nonjudicial discretion;"
"The impossibility of a court's undertaking independent resolution without expressing lack of the respect due coordinate branches of government;"
"An unusual need for unquestioning adherence to a political decision already made;"
"The potentiality of embarrassment from multifarious pronouncements by various departments on one question." Justice Tom C. Clark switched his vote at the last minute to a concurrence on the substance of Baker's claims, which would have enabled a majority which could have granted relief for Baker. Instead the Supreme Court remanded the case to the District Court. The large majority in this case can in many ways be attributed to Justice Brennan, who convinced Potter Stewart that the case was a narrow ruling dealing only with the right to challenge the statute. Brennan also talked down Justices Black and Douglas from their usual absolutist positions to achieve a compromise. Appellants invoke the right to vote and to have their votes counted. But they are permitted to vote and their votes are counted. They go to the polls, they cast their ballots, they send their representatives to the state councils. Their complaint is simply that the representatives are not sufficiently numerous or powerful. Having declared redistricting issues justiciable in Baker, the court laid out a new test for evaluating such claims. The Court formulated the famous "one person, one vote" standard under American jurisprudence for legislative redistricting, holding that each individual had to be weighted equally in legislative apportionment. This affected numerous state legislatures that had not redistricted congressional districts for decades, despite major population shifts. It also ultimately affected the composition of state legislative districts as well, which in Alabama and numerous other states had overrepresented rural districts and underrepresented urban districts with much greater populations. This principle was formally enunciated in Reynolds v. Sims (1964). The Court decided that in states with bicameral legislatures, as had Alabama, the state in this suit, both houses had to be apportioned on this standard. This voided the provision of the Alabama Constitution which had provided for two state senators from each county and similar provisions elsewhere. (Similarly, the Tennessee Constitution had a provision that prevented counties from being split and portions of a county being attached to other counties or parts of counties in the creation of a legislative district. This was overridden under the principle of basing districts on population. Today counties are frequently split among districts in forming Tennessee State Senate districts.) "One person, one vote" was first applied as a standard for Congressional districts. State legislatures were supposed to redistrict according to changes in population but many had not for decades. Baker v. Carr and subsequent cases fundamentally changed the nature of political representation in the United States, requiring not just Tennessee but nearly every state to redistrict during the 1960s, often several times. This re-apportionment increased the political power of urban areas with greater population and reduced the influence of more rural areas. After he left the Court, Chief Justice Earl Warren called the Baker v. Carr line of cases the most important in his tenure as Chief Justice. ^ Johnson, John W. (ed.). Historic U.S. Court Cases: An Encyclopedia, Vol. 1 (2nd ed.). New York, London: Routledge. p. 293. ISBN 0415930197. Retrieved 26 March 2016. ^ Katz, Ellis. 2006. "Colegrove v. Green." Federalism in America: An Encyclopedia. ^ Eisler (1993), p. 13. ^ Eisler (1993), p. 11. ^ Schwartz, Bernard. How Justice Brennan Changed America, in Reason and Passio 33 (E. Joshua Rosenkranz and Bernard Schwartz eds., 1997). Eisler, Kim Isaac (1993). A Justice for All: William J. Brennan, Jr., and the decisions that transformed America. New York: Simon & Schuster. ISBN 0-671-76787-9. Gifford, Donald G. (2010). Suing the Tobacco and Lead Pigment Industries: Government Litigation as Public Health Prescription. Ann Arbor: University of Michigan Press. p. 318. ISBN 978-0-472-11714-7. Peltason, Jack W. (1992). "Baker v. Carr". In Hall, Kermit L. (ed.). 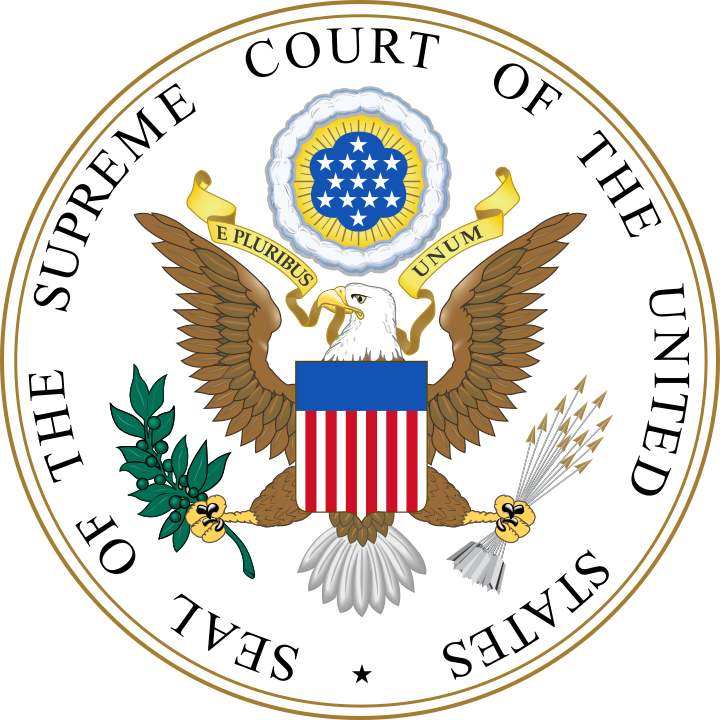 The Oxford Companion to the Supreme Court of the United States. New York: Oxford University Press. pp. 67–70. ISBN 0-19-505835-6. Tushnet, Mark (2008). I dissent: Great Opposing Opinions in Landmark Supreme Court Cases. Boston: Beacon Press. pp. 151–166. ISBN 978-0-8070-0036-6.